It's been a while now since I visited the beautiful city of Stockholm, but I still owe you some reviews. I went there for a long weekend to visit some of my dearest friends, and we pretty much spent the weekend walking around, eating, sleeping and partying (and buying my very first Acne jeans because when in Stockholm...) I also ate MANY cinnamon/cardamom buns and drank A LOT of coffee because they're essentially my favourite Scandi things. Scandinavians are known to drink tons of coffee all throughout the day, and when Fika time comes around, the kardemummabulle & kanelbulle come out as well. 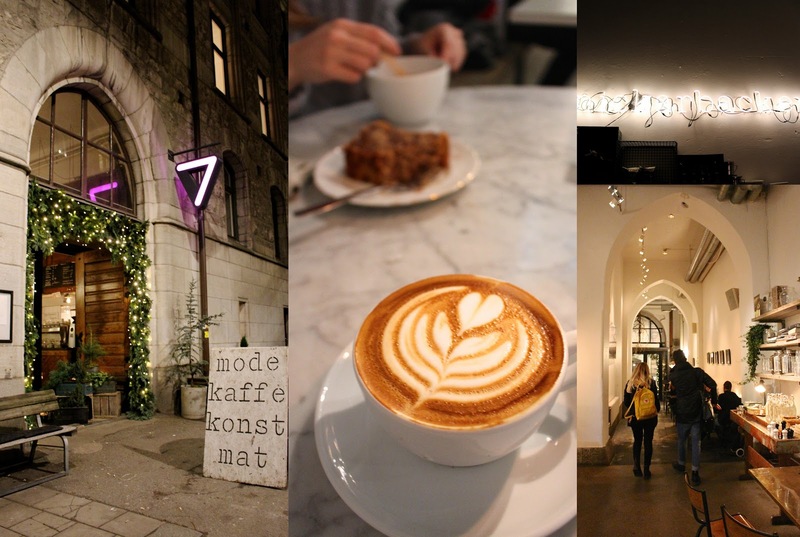 So I rounded up my top 5 coffee and/or fika places where you'll find some of Stockholm's best coffee and buns. It all started when I arrived at Arlanda airport. The second I got off the plane, I smelled that lovely coffee scent which smells even better when you haven't had your first cup of the day yet. It came from a very hipster coffee place at the gates. It was weird because it's a coffee shop AND a tattoo parlour, just in case you want to get a tattoo before catching your plane... right. 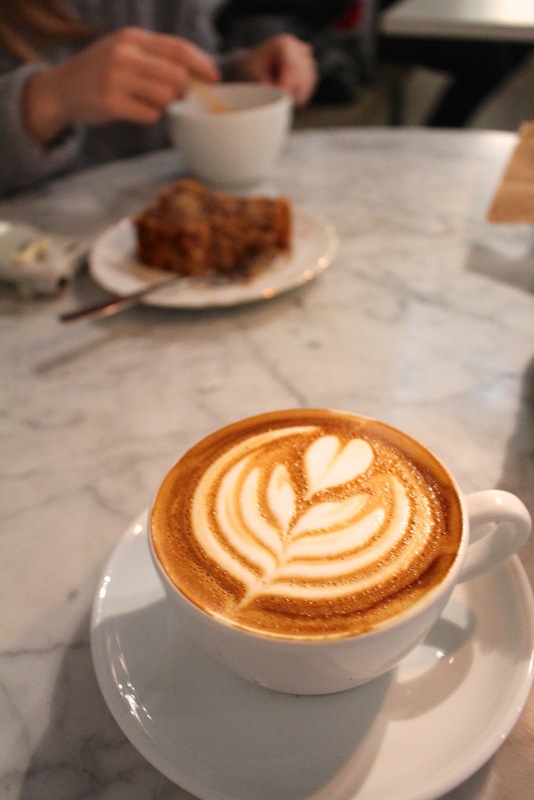 But the flat whites were just amazing (STRONG! Cool cups!!) and the cardamom bun I ate on the plane back home tasted amazing. Yes I went to Salong Betong twice on my trip, I think that says it all! We stopped by (the new?) Urban Deli one evening to check it out. My friends hadn't been yet and I think they know me too well because it's exactly the kind of concept I like. Urban Deli is a kind of hybrid between a restaurant, bar, bakery, grocery store and, of course, a deli. They had incredible things, like a freezer filled with 30 different flavours of yukimi daifuku mochi ice cream (OMG), truffle popcorn and snack bar brands I'd never even heard of. Like a kid in a candy shop ;) in the end I was in the mood for a cardamom bun (when am I not?) - buttery and flakey, and not too sweet. There are two Kaffe Verket in Stockholm, one of which is located in a stable-garage-converted-into-shop-café-communal-space: Snickerbacken 7. Kaffe Verket is very popular among bloggers, and I totally understand why. Their matcha lattes are very Instagrammable and their flat white are scrumptious! My friend had a piece of banana pecan bread and it was amazing, honestly one of the best cakes I've ever tasted! 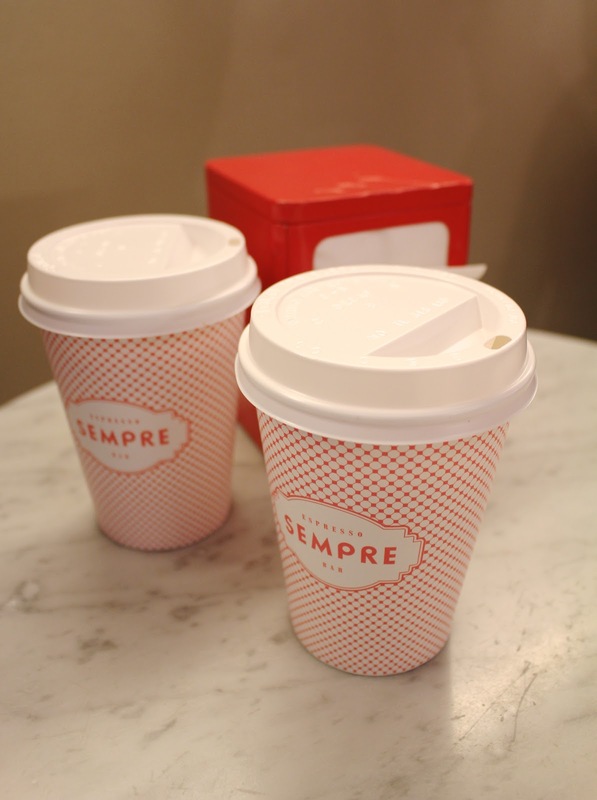 Although I only intended on going to typical Swedish fika places, Sempre was mentioned to me so often (in the good coffee context) that I just had to go try this little Italian café. Upon entering this place you're transported right to Italy, where the baristas only speak Italian rather loudly (ciao ciao!!! 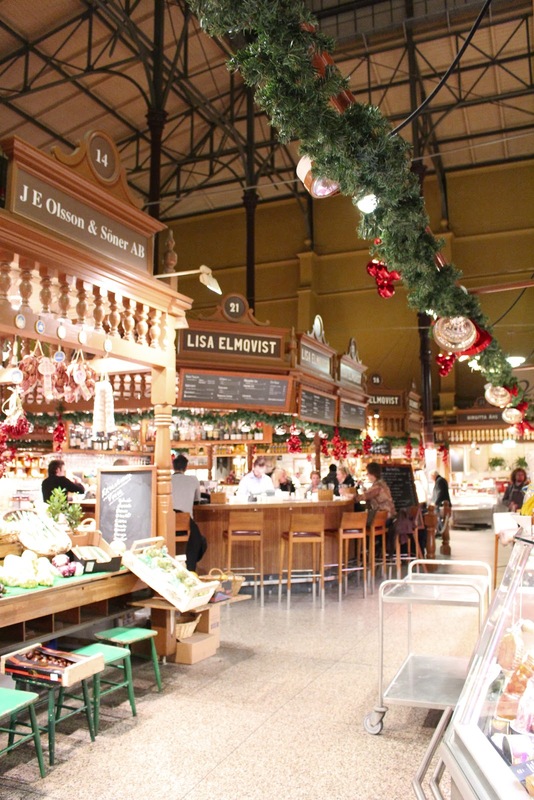 ), people drink their espresso while standing and the Italian pastries are piled high on the counter. 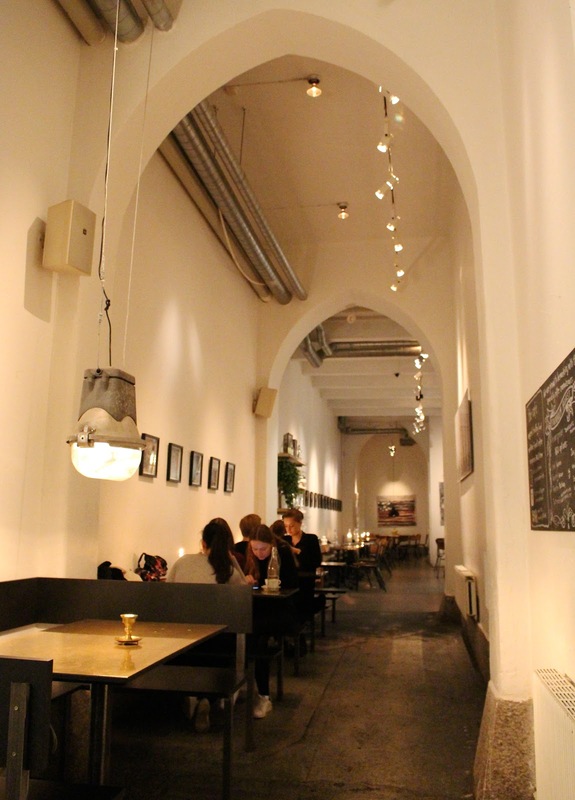 The cappuccinos are great and cheaper than most other places I tried in Stockholm! Saving the best for last... While this technically is neither a café nor a fika place, it definitely deserves a spot on this list for a good reason: this bakery makes some of the best cinnamon and cardamom buns ever. There, I said it. While I'm no cardamom bun expert, my big statement is backed up by many other Fabrique-fans all over Stockholm (13 bakeries) AND London (Shoreditch, Covent Garden and Notting Hill). Even better is their walnut sourdough bread, I think it might even beat Manufactum's walnut bread. Best bread ever, especially in combination with Swedish cheese, yum! When is Fabrique coming to Belgium?? Special shout-out to the cinnamon bun bread. OMG. It's probably a good thing there's no Fabrique near me. There are obviously many more places where you can eat fantastic buns and drink great coffee, but these were all I managed to try in one weekend. If I could recommend two it would be Fabrique and Kaffe Verket, they were my favourites! I'll work on more Stockholm foodie tips since I haven't shared everything yet!